In The Art Forger, B.A. 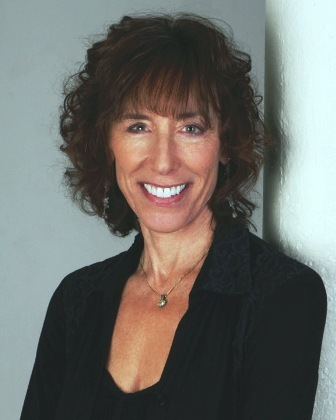 Shapiro's sixth and best suspense thriller yet, Claire Roth, an accomplished painter in her own right, uses her skills to paint forgeries for Repro.com. The company sells her art work to clients who know the paintings are fake--for a "reasonable" price customers can enjoy the experience of having great masterpieces adorning their walls. Claire is especially good faking paintings by Edgar Degas. She hates to do it, but she's very good at it and the money allows her to pay her bills, just barely. But first some history, true and false. 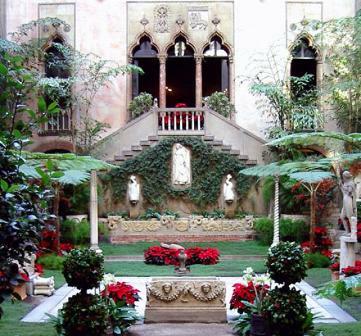 In March 1990, two men stole 13 works of art from the Isabella Stewart Gardner Museum in Boston. The catch included such priceless masterpieces as Rembrandt's Storm on the Sea of Galilee and Vermeer's The Concert. Today, the value of the paintings would be over $500 million. For two decades, the FBI has investigated the robbery, following leads from all over the world. The museum still asks anyone who has any information about the theft to contact the FBI. A $5-million reward awaits. All true. However, there was one "stolen" painting that never existed--Degas's After the Bath. It's a painting whose existence was created by Shapiro in order to provide a masterpiece around which her story is carefully built. And not just one story, but three. Shapiro artfully weaves three separate tales to tell the story of the art forger. The first is about Claire and her reproduction job and her desire to make it as a painter. The second is a flashback story from three years ago, about Claire and her lover, Isaac Cullion, whom Claire met when he was a teacher and she his student. Finally, there is the story told through letters written by Isabella Stewart Gardner, one of the greatest female art patrons, to her (fictional) niece Amelia in the 1880s-90s, when Gardner was in Paris looking for artworks to acquire and for artists--including Degas--to meet and befriend (true). And so, when Aiden Markel, a gallery owner who knows Claire and Isaac, comes to her apartment with a financially rewarding proposal to paint a copy of the stolen Degas's After the Bath, a favorite of hers, she's both repulsed and intrigued. It would be challenging, and the money would be welcome. Markel also offers Claire his gallery for her own show, her first ever, a great opportunity to display her ongoing series of window paintings. She finally agrees, as long as the painting will never be public and will remain only in the hands of the mysterious wealthy collector who thinks he will have the stolen original. One day, in a big crate, the masterpiece to be copied is delivered--she stares at it "as if my eyes are tethered to the canvas." Markel has promised her the original will be surreptitiously returned to the Gardner once her copy is completed. Claire begins her forgery. Shapiro does an excellent job of giving us fascinating information and details about the art of painting and how a good forgery is actually made: "I've ground the underpaint--flake white, raw umber, and turpentine mixed with a touch of sienna to warm it up--to my exacting and secret recipe. A red sable brush, ridiculously expensive, but the only kind of soft brush Degas ever used, stands at the ready. I immerse the brush in the small bowl of underpaint, close my eyes, and visualize the final painting.... I begin. Underpainting is fast and straightforward. The perfect first step for a long project." As she paints, her thoughts turn to the origins of Bath. She knows the painting well, having stood before its genius at the museum many times. But something seems wrong. Could this be a forgery? Could the original have been a fake? If so, where is the real Bath? She sets out to learn more about Gardner's relationship with Degas and arranges to meet Sandra Stoneham; her grandmother, Amelia, was Gardner's niece. View the book trailer for The Art Forger here. B.A. Shapiro: "If You Had One Year..."
B.A Shapiro is the author of The Art Forger, a literary thriller about the Isabella Stewart Gardner Museum heist that spans three centuries of forgers, art thieves and obsessive collectors. Writing as Barbara Shapiro, she is also the author of five suspense novels The Safe Room, Blind Spot, See No Evil, Blameless and Shattered Echoes, as well as the nonfiction The Big Squeeze. She lives in Boston with her husband, Dan, and dog, Sagan, and teaches creative writing at Northeastern University. I was in my late 30s and had a big, 60-hour-a-week job, along with a three-year-old and a six-month-old. I decided I didn't want to live like a crazy person, but knew I wouldn't be happy as a full-time mom. At that time, in the '80s, women were going to "have it all," and it was a kind of capitulation to quit work. But I did it and, not surprisingly, found myself wondering if I wasn't "superwoman," who was I? One day I was having lunch with my mother at the Museum of Fine Arts here in Boston, freaking out about what I should do with my life. She asked, "If you had one year to live, what would you do?" I said, "Write a novel and spend more time with my children." So I decided that's what I'd do. Fortunately, my husband was cool with this and we agreed that I would take a couple of years to write, and then he'd take a couple of years to write and I'd go back to work. Since then I have written 10 novels (not all published), and the poor guy is still working. I always tell my students that you need a working spouse with benefits to be a writer. I'd dreamed of being a novelist since I was a little girl. But since I was going to be superwoman--wife, mother, professional--writing had never seemed a practical option. I had no training as a writer--my degrees are all in sociology--but I'm a voracious reader (my best advice for learning to write is to read) so figured if it was good enough for my last year of life, I might as well give it a try. Your descriptions of art and creating art ring true. Do you have an art background? No. But I interviewed a lot of artists, gallery owners and collectors, read dozens of books, scoured the Internet and spent endless hours at museums. I have always loved art; I wish I had artistic talent, but I don't. So this was the next best thing: to create a character who was a really good artist and live vicariously through her. After I was finished I gave it to a number of artists to read, and they were all amazed at how well a non-artist could write about the process. Maybe because writing isn't all that different. But my favorite story came from Craig Popelars (at Algonquin Books) who gave an early copy to a bookseller to read. She gave it to her elderly father who was in the early stages of dementia. As a young man, he had given up art. He read the book in a day, then for the first time in decades he started to paint. What more validation could I want? How about the art forgery details? Your book reads like a blueprint for budding forgers. I did a lot of research, and it's so fascinating. Plus, it's easy to do research now, and I have an academic background, so it comes naturally. I read The Art Forger's Handbook--the stuff about baking the layers of paint is all true. Pretty much all of the specifics about forgery, painting and the Gardner heist are true. When you really get into the research, there is so much information, you have to ramp it down. You have to make sure your research isn't showing, but it's hard to leave things out when you're so taken with them. I'm now terrified that my new book--about Jackson Pollock and Lee Krasner--won't work. 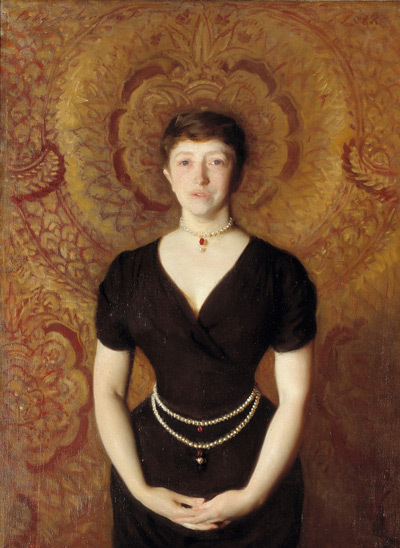 As my writing group has always said, "There is no insecurity too obscure...."
Isabella Stewart Gardner is such an entrancing and vivid figure in The Art Forger. She collected everything, from Rembrandts to lace to ironwork sconces. And then built a Venetian villa in the middle of Boston to hold it all. Isabella, or Belle as her friends called her, had an incredible eye for art, and the money (until the end) to pursue her obsession. She and her husband had a large townhouse in Boston that became so crammed with art that they could barely move. So they bought the house next door to expand, and 10 years later it was filled, too. That's when she decided to build her museum. I recently read a book about really creative people with bipolar disorders and other types of mental illness. Belle was driven by a passion that you wouldn't call mentally healthy by any criteria, but if she had been completely sane, we wouldn't have the Gardner Museum. Nor would we have many of the artworks that hang there. Circumstance and time have a lot to do with whether a person is considered crazy or talented. Toward the end of her life, Belle suffered a series of strokes that limited her mobility. But what's very surprising to most people is that she was forced to live quite frugally, almost starving herself in order to have enough money to preserve her museum after her death. Her will created an endowment along with stipulations for the Gardner that are eccentric, to say the least. For example, she decreed that every piece of artwork must stay in exactly the same place as it was when she died. Nothing could be added or changed. The letters that she wrote to her (fictional) niece Amelia are so charming, and show a vulnerable side to a strong, opinionated woman. They were such fun to write--and a great way to shorthand a subplot. In reality, she asked people to whom she had written letters to destroy them, but there was a batch of correspondence between Belle and Bernard Berenson that were intact. I used many of these to inform my research and writing. The trick to making up letters from over 100 years ago is to make them sound authentic without using the actual style of those days; no contemporary reader would want to read them if that style was replicated. I used some phrases and words to catch the flavor of things while not overwhelming the reader. The infamous Gardner heist of 1990, where two thieves took 13 works of art, including Rembrandts, a Vermeer, and--of course--a Degas--has there been any sort of resolution? I, along with hundreds of cops, art lovers and FBI agents, have my theories about who is responsible, but so far there is no proof to back any of them up: Everyone from the Catholic Church to the IRA to the Mafia to Gardner Museum insiders and every thief and minor thug in the greater Boston area and beyond have been implicated. And it's now been 22 years since the robbery.